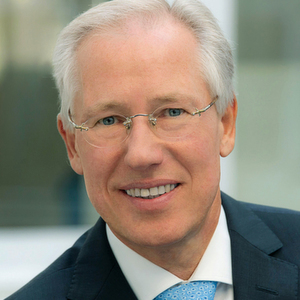 In the following interview, CEO Dr Ralf Köster, discusses enterprise mobility and explosion protection in the age of Industry 4.0, as well as the background to the acquisition of the startup Pixavi, the cooperation between the partners and the continued focus on mobile. A collaborative production, as envisaged in Industry 4.0, also requires improved communication between the relevant players within a company. Accordingly, enterprise mobility is the key competency and double-digit growth rates are consequently not a surprise. It therefore follows that the leading company for safety technology in the explosion protection field, the BARTEC Group, acquired the world‘s leading specialist for communication and collaboration in the explosion protection field, Pixavi, as part of its growth strategy. The interview and the responses from Dr Köster also go beyond the issue of enterprise mobility, addressing how Industry 4.0, innovation and transformation can succeed, for example through respectful collaboration between leading companies at the centre of things and start-ups. Collaboration is therefore at the heart of this ground-breaking interview in two senses. Enterprise mobility aids collaboration, while we also need collaboration to make this innovation possible. It is not surprising that BARTEC has been recognised as one of the top 100 German innovators for the third time. Question 1: Enterprise mobility for safety technology in the process industry? Enterprise mobility is on everyone‘s lips and seems to be the new innovation driverin industry. Many people even view enterprise mobility as one of the cornerstones of Industry 4.0, and thus also for Process Industry 4.0. At the moment, there is a lot of talk about enterprise mobility, and this also proved the case at the Achema trade fair. Ultimately, it is generally about networking in Industry 4.0.
new challenges. We needed to build and expand our expertise in this area. We also created a separate business unit for enterprise mobility and brought in somebody externally as the BU manager – Mr Halmuschi, a proven expert in mobile enterprise. By doing so, we wanted to demonstrate our commitment. Over time, we needed to harmonise the cultures of a mature company and a small business. In this way, Mr Halmuschi served as a bridge between the companies. Now, as we are successful, we can safely say with a smile: it‘s been a challenge for us. At the end of it all, each side has learned from the other. Ultimately, it was the right decision and our efforts paid off. We are now one of the market leaders for enterprise mobility in the area of explosion protection, in particular based on our integrated solutions including a camera, Wi-Fi technology, scan engine with RFID tag reading, etc. in addition to an explosion-proof smartphone. This is where things are going, as shown by the expert discussions at the trade fair. I think the trend has arrived. I‘m not sure if the process industry is fast or slow. Of course, there are always some people who are fast with these types of innovations, while others need more time. “Remote maintenance with a helmet camera” and a “mobile office” are potential usage scenarios that you encounter in the context of mobile enterprise. Can you outline typical application scenarios that you support or would like to support? Who are the users, what is the new added value of mobility? How are such scenarios established today, and how much time is needed for this? How can the market be made more open to innovations? The most common usage scenario in practice, and this is generally the opinion, is maintenance. Offering mobile maintenance is practical, helpful and can be easily implemented. With the existing integrated solutions, you have direct mobile access to the SAP system and can transfer data directly, without redundancy, and you can also access operating instructions and Q&As, how-to guides, etc. This is used a lot in practice, and it increases productivity and acceptance. Of course, we need an explosion-protected smartphone for this, as we secured a real hit with our Impact X, as this is a device for Zone 1 that looks and functions like an iPhone, while it is otherwise “fat sticks” that prevail. This vastly increases acceptance, of course. The second major usage scenario which is relevant in practice is related to our new helmet camera. This camera is about the size of a cigar, but it has the full functionality of a standard camera and full HD quality. You can easily fix the problems on site in high resolution via video conferencing or streaming, in a way that was not previously possible. Such analyses are important. In the case of innovations like enterprise mobility, we always hear that innovations “cost this much”. Some buyers may wonder why an explosion-protected smartphone costs more than an iPhone. This is what I always say: the investment costs less than 2-3 helicopter flights in this case. What‘s good news for us is that the industry is moving increasingly in this direction, we have stacks of media reports, Achema really served to build up public opinion again. This simplifies our job in convincing people. We are now considering expanding our capacity in this area significantly in order to meet the strong demand. The fact that we have been recognised as one of the top 100 German innovators for the third time confirms that we are on the right path. 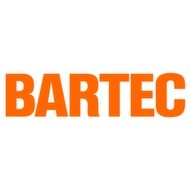 As part of your “BARTEC goes mobile” strategy, you now offer your customers different mobile solutions and are planning more for the future. How do you see your roadmap? How do you avoid the innovator‘s dilemma, the curse of the successful innovation? How can innovation be made sustainable? This is an important question, and it shows the full complexity. Of course, we can‘t disclose too much about what we‘re currently working on. Our competition would be happy to hear that. This is what we essentially do to remain innovative: When we receive a lot of projects, we expand our resources so as not to get overwhelmed by the projects. We have purposefully taken a small group out of their day-to-day operations, so as not to make the typical mistakes. If you don‘t continue to act aggressively during this phase, because you think that “you‘re already good enough”, then you start to lose ground. • There is the key trend of miniaturisation, for example, which we need to take into account,and this poses particular problems in our field. These types of interfaces are difficult to operate on an 0il platform using gloves, for example. • Devices with different functionality are also merged together. We will create multi-functional devices. Tasks that still need to be carried out separately today will then supported by a single device. Of course, everything will also be faster, more mobile, etc. • Also a mundane issue such as costs. Let‘s not kid ourselves: of course, there are now more and more copycats on the market, which also leads to additional market and price pressure. You need to develop innovations here. The goal is always to remain a step or two ahead of the competition. Our new helmet camera which we are currently launching will be a great success, we will win more awards, I‘m already sure of this, and there are certainly competitors who would be happy if we supply this product. This is a good thing. If you stop developing, if you stop thinking up new ideas and just bask in your success, then you will lose ground, not today, not tomorrow, but in three to five years, you will pay the price and have failed the test as management. To what extent are you planning further acquisitions as part of your growth strategy? Are there complementary additions to your portfolio? What research and development activities are planning in the area of enterprise mobility for 2015/2016? I believe in the concept of buy and build. This means that the smartest approach for a company is to have a healthy mix of organic and acquired growth. I don‘t think that we will always be able to identify all trends with our own employees at an early stage. I don‘t think that we are faster and better in every way than all the start-ups of this world. That‘s just not realistic. So acquisitions are the logical approach. How does the scouting process work? This is a combination of several groups. Of course, we have our own M&A department, a young team, working on this issue. What do they do? They visit the most important trade fairs and institutes, they maintain contact with investment banks, investment boutiques, project financiers, etc. In brief, we are investing in the network. We are renowned for being able to implement solutions rapidly and practically and for our willingness and readiness to invest. However, it is also important here to have an interesting track record. We have a track record which clearly shows that we always invite the local management of start-up pioneers into the company, but we also always retain the name and put BARTEC first (BARTEC PIXAVI, for example). This is important to get this story across, this creates trust. Basically, we don‘t want to get rid of the people. We want to retain the spirit of innovation and creativity and combine them with our expertise in explosion protection. In parallel, we receive information from customers and employees. Pixavi was identified as a potential subsidiary when one of our subsidiaries in Norway asked Pixavi about the explosion-proof capacity of Wi-Fi systems. This lead to the initial discussions. As basis of trust was formed, which then ultimately led to the acquisition. What many companies do wrong, particularly international companies, is that they try to form synergies too quickly by sending someone from the main office and trying to impose their own cultures, structures and processes to the start-up. In doing so, they lose the actual reason for acquiring this company in the first place, the basis of the success. I believe that partnerships should be fostered here. I don‘t want to give the impression that everything is perfect in our situation, however. Do these types of cooperations always work? We need to be realistic here. There are naturally things that flop. If 3 out of 5 attempts succeed, this is a good result. Question 5: Industry 4.0 also for the process industry? For a long time, the (discreet) manufacturing industry dominated discussions about the future of Industry 4.0. Now, more and more players in the process industry are discovering that new forms of colaboration in the network are relevant for the future, and solutions such as mobile, augmented reality, new sensor systems andnew control systems, as well as objectives like better integration across all dimensions (horizontal, etc. ), are becoming increasingly important. How would you rate the discovery of 4.0 in your industry? I think that Industry 4.0 has now reached the process industry. The manufacturing industry was faster here, of course, they generally have greater benefits. What we notice, and Achema, as the trade fair for the process industry, also reflected this, is that Industry 4.0 is now fully accepted in the process industry. Naturally, there are different interpretations, which is what Industry 4.0 is about, after all, but the quality of the questions at the trade fair or the content of the new projects point to a clear trend in this direction. There are always some pioneers, of course, while others will wait, but I have no doubt that the issue is now an important one. Processes need to be faster, they need to be safer and, above all, costs need to be reduced. This would not be possible without innovations in this area.